Limitless Cash System – free system by Toshko Raychev. System is part of TRProfitSystem. Contain 2 metatrader indicators: LimitlessCashSystem and Bollinger Bands default MT4 indicator. The Stop Losses and Take Profits used by this system are dynamic. 1. Wait for the Limitless Cash System indicator to draw a Swing High above the upper Bollinger Band line. 2. Wait for the LimitlessCashSystem line to retrace or pullback and form a new Swing Low. 3. You will get an alert with a Blue Up arrow and dashed horizontal line. 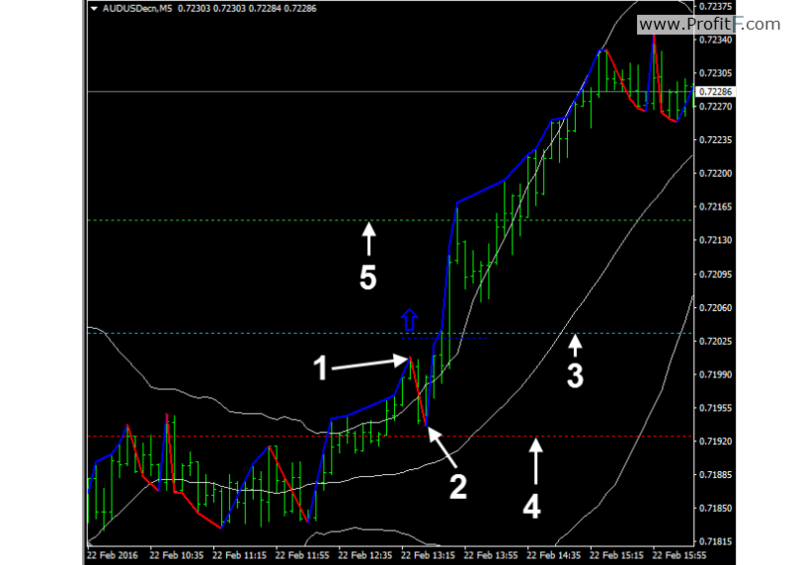 Place a pending order a few pips above the Blue dashed horizontal line. 4. Set your Stop Loss below the most recent Swing Low or at the Middle Bollinger Band line. 5. Set your Take Profit at 1:1 RR or greater. 1. Wait for the LimitlessCashSystem indicator to draw a Swing Low below the lower Bollinger Band line. 2. Wait for the Limitless Cash System line to retrace or pullback and form a new Swing High. 3. You will get an alert with a Red Down arrow and dashed horizontal line. 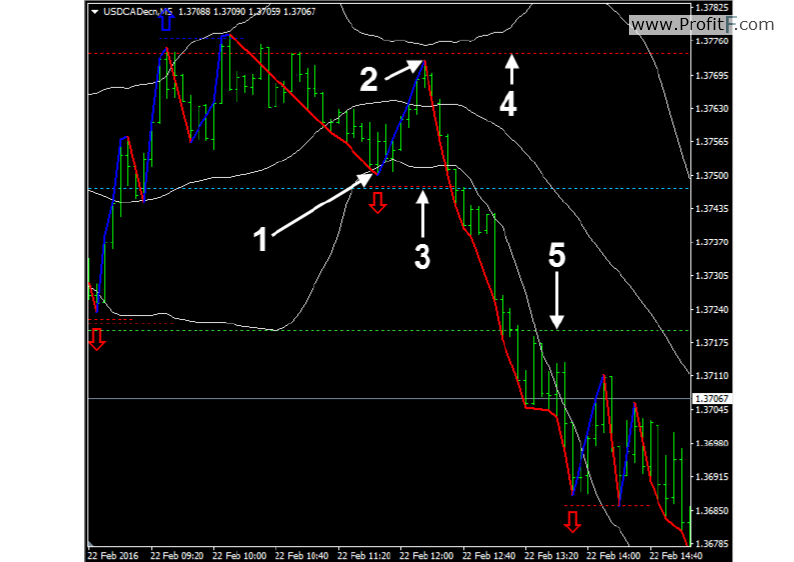 Place a pending order a few pips below the Red dashed horizontal line. 4. Set your Stop Loss above the most recent Swing High or at the Middle Bollinger Band line.